Hi! I found this great product at Award Traders, LLC, I thought you might be interested in it. Check it out! Customize your Ceremonial Arrow with this easy to use 39 piece Vinyl Strip Set. Includes both 6 Rank strips & 33 Achievement strips for the new 2016 program and pre-2015 program! Peel off the adhesive backing and apply to arrow shaft. Be sure to order your arrow "Attached" to plaque for easy strip placement. One Strip Set stripes one arrow. Click here for Striping Instructions (39 piece) Note: Closing for Spring Break - Orders placed between April 24 - May 5 will begin processing May 6th. If also ordering a plaque/arrow, we recommend ordering the arrow "attached" to the plaque to make applying color strips even easier. Customize your Ceremonial Arrow with this easy to use 6 piece Rank Vinyl Strip Set. Peel off the adhesive backing and apply to arrow shaft. One Strip Set stripes one arrow. (Note: This kit is not needed if you are ordering the larger 39 piece Rank and Achievement strip set.) Click here for striping Instructions (6 piece). Note: Closing for Spring Break - Orders placed between April 24 - May 5 will begin processing May 6th. 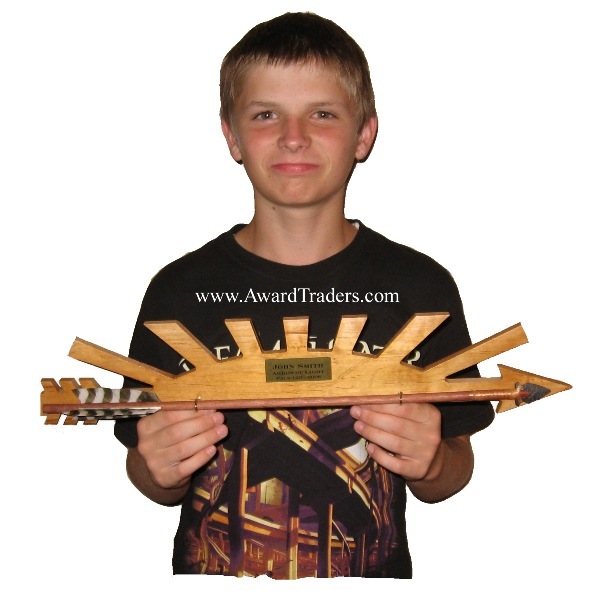 Award Traders LLC is an official licensee of the Boy Scouts of America. and all related insignia are trademarks of Boy Scouts of America in the United States and/or other countries. Plaques are manufactured under license from the Boy Scouts of America. All rights reserved.